Most roads are wet and slick with mud during the monsoons. As such, rainy days requires you footwear that will give you good grip and will keep your feet as clean as possible. A rubber footwear is usually worth investing on. Go for comfort rather than style or looks. Flip flops are your best bet. They dry easily since they are made of rubber. Moreover, they fit well and let your feet breathe. However, cheap brands could prove to be slippery on the roads and could splash water and mud on you. Another option is spending on the old fashioned Rain boots. Rain shoes need not be boring. Sturdy and coloful flip flops plus trendy rain boots can match your outfit. I found that there is a wide variety of shoes for women available at ZALORA Philippines. Whatever ideal footware you decide on to keep the your feet well covered for monsoons, choose sensible shoes. Avoid those that soak up water and those with poor grip that might cause you to slip on the moss and fungus covered roads. The rainy season takes a particular toll on the feet. You cannot avoid a puddle of dirty water during this time of the year. The roads are full of dirty water and muck and these which enter foot wear. Trudging through floods and walking on filthy pavements Hence the rainy season takes a particular toll on the feet. and dirty feet are at risk of contracting infection often cause smelly feet and fungal infections. Give your feet more attention they deserve. Clean your feet and keep them hygienic to do away with bad odour, athlete's foot and fungal infection problems. The feet smells because bacteria feeds on damp feet. And during the wet season, these bacteria breed on dirty water, mud and other waterborne substances which we tread on. 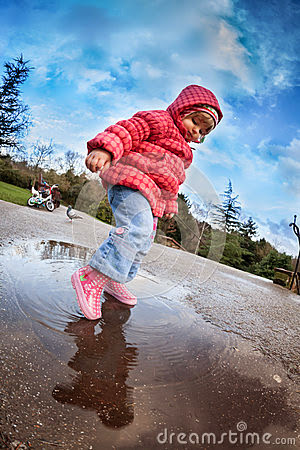 •Do get the wet shoes off as quickly as possible. •Wash your feet with antiseptic as soon as you get home. Apply anti-fungal powder or cream. •Dry your feet after cleaning it. Make sure to the area between the toes to avoid athlete's foot. •Clean your footwear thoroughly before wearing them again. Use a dry cloth to remove any fungal growth that could have started to form when your sandals or shoes were left wet. •Clean under your toenails and cut them regularly so that dirt won't accumulate in them. •Make sure that your feet are completely dry before wearing new footwear or socks. Since your feet bears the brunt of monsoon, don't forget to take extra care of them this rainy season. Keep your feets in top shape with a little bit of care. Do not wait for the condition to worsen before you get rid of those infectious bacteria.